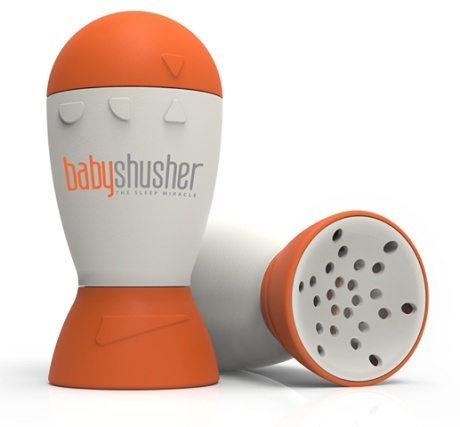 Baby Shusher - Calm and Soothe Your Baby Instantly! Review by Eileen Crowley: "I love this little gadget. 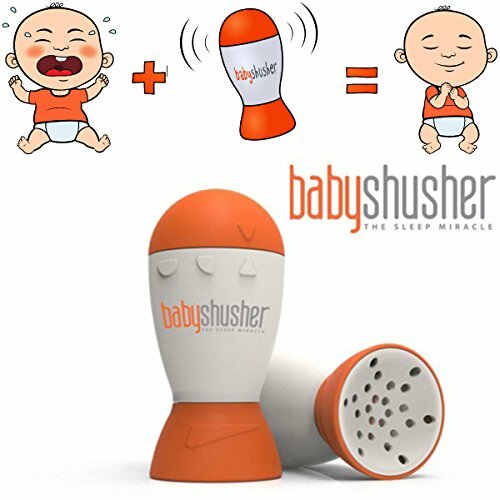 It actually sounds like someone shushing and you can set it to shush for 30-45 minutes and its small enough to put close to your baby's head. The happiest baby on the block recommended shushing to calm a crying baby but I didn't think it would work this well. It's like someone turned off my six week old's cry button! She's so peaceful. Will definitely be getting this for other moms." 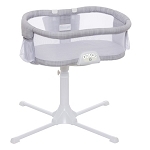 Review by Douglas Clark: "This just simply works, best to start in the hospital nursery, and your first night at home will be a good nights sleep for you and your newborn. Continues to work through to 2 year olds. My 18 month old granddaughter was walking around the family room shushing her baby, just like she loves to fall asleep." Review by agleinser: "I absolutely love this product it works like a charm. We use this constantly with our son who is over a year old now. We have used it since day one. I was a lucky product tester for the product and was so thankful I could be. This is a must have baby item for any new mom."